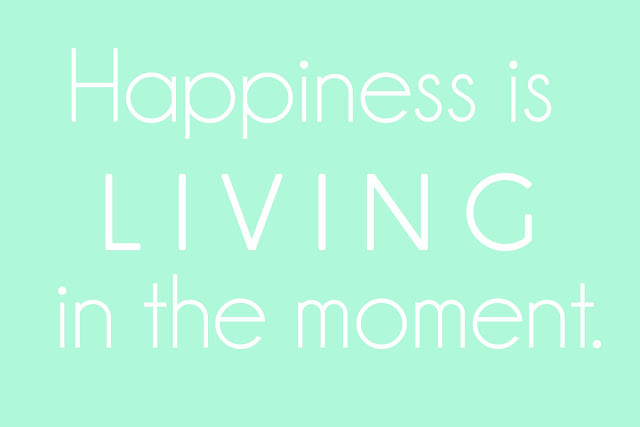 I think Jason Mraz sings says this best in his song, "Living in the Moment" off his latest album Love is a Four Letter Word. His music inspires me. He's one of those people with a positive soul, who has so much success, yet remains humble and human. I follow him on instagram and the dude sleeps on an air mattress. "Living in the Moment" is a positive affirmation for everyone who listens. So, turn it up, download it, watch the video below, sing it, mean it, and remember the lyrics. What a great thought to start the day with. We make our own happiness; thanks for sharing! By the way, I absolutely love your blog. This sun-shiny state could use more people like you. I think every one of my favorite blogs has had a positive, uplifting message today! Exactly what I needed, as I seemed to wake up on the wrong side of the bed today (and had none of my favorite coffee mix-ins to fix it!). So true!! Always important to remember what really makes us happy. Jason Mraz is my favourite, especially for those days when you need a wee reminder that life's actually alright! Thank you for being one of the few inspirational blogs. I really appreciate that you find positivity and beauty in everything, whether big, small, expensive or cheap. Even greater, you share it with us. You must be in a really good place in your life because it can be hard to see beauty otherwise. Please keep showing us beauty in all things. It definitely makes me smile. Thank you for sharing this! I didn't know Jason Mraz had a new song out. (I haven't been up to date with iTunes lately hahaha). He is my favorite. Gotta love him. Love this song! Such a great reminder! I just came across your blog and really did enjoy the posts! I am new to the blog world and would love for you to stop by mine too! Thanks and take care! thanks for sharing! love this song! Thank you, thank you , thank you. Going through a down time and this reminded me of who I am and how I live. When people around you do not live that way, it's easy to lose yourself. Thank you! i met jason mraz back in 2004 and you are so right - he is very down to earth, humble and super friendly. :) great quote!! Thanks for the share! Can't wait to listen to this song as I've just read the lyrics and it sounds amazing. I can definitely relate in many ways! Really nice post. I think people should go through your blog. Thank you for sharing. You also may find www.goinghappier.com interesting!